So a weekend ago I slapped out the paint and entered the world of #allwhiteeverything. Furniture and walls all in white. 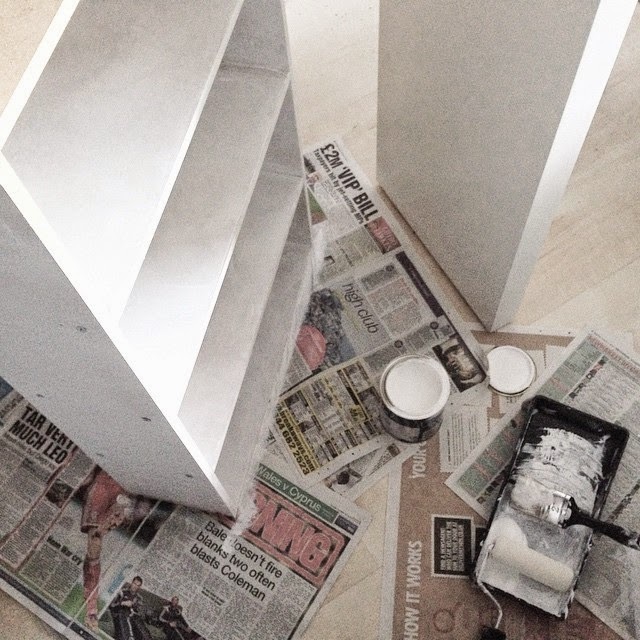 It was fun getting my diy on and getting my dungaree's and hands all messy. A few more final touches are in order then I will do a more in depth blog room post. I love interior posts and cannot wait for the day I can do up a whole house. Of course I invested in a buddah didnt I. £4.50 as I got 25 percent discount off from Next. Can't beat that really. Accessories are the most important part of a white room - it's them that bring in the comfort and makes it that less bit boring. 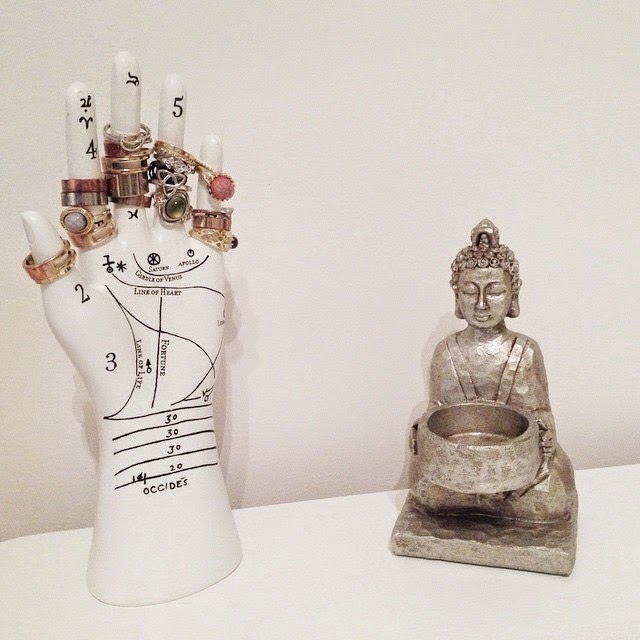 Love your buddha and palmistry hand too! Thanks, can't beat Urban Outfitters! It looks really cute. Can't wait to see the finished product. 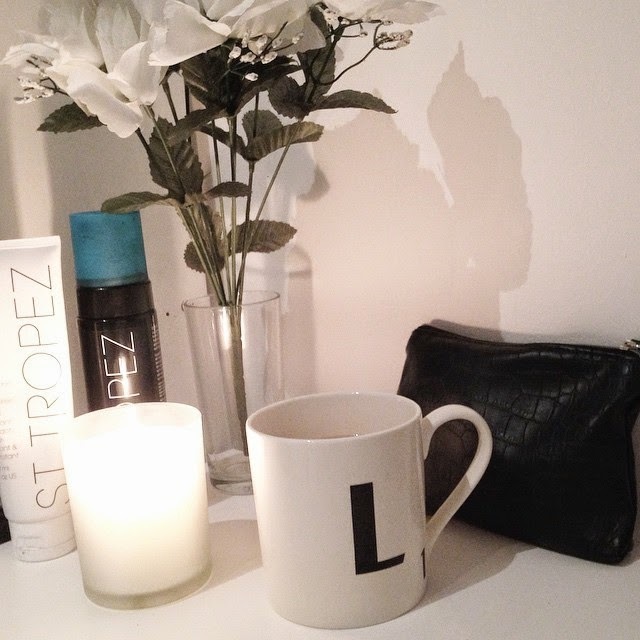 If you want to take a look at my room it would be great to see what you think!